The photographer of this tree silhouette sunset image is Nicole Heitzman. The scene is from Eastern South Dakota! 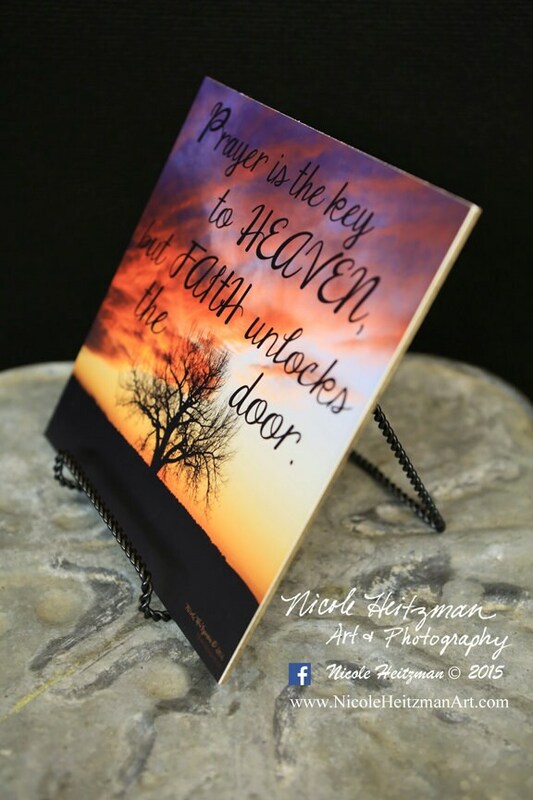 The image is 10" wide by 10" high and is mounted to masonite. 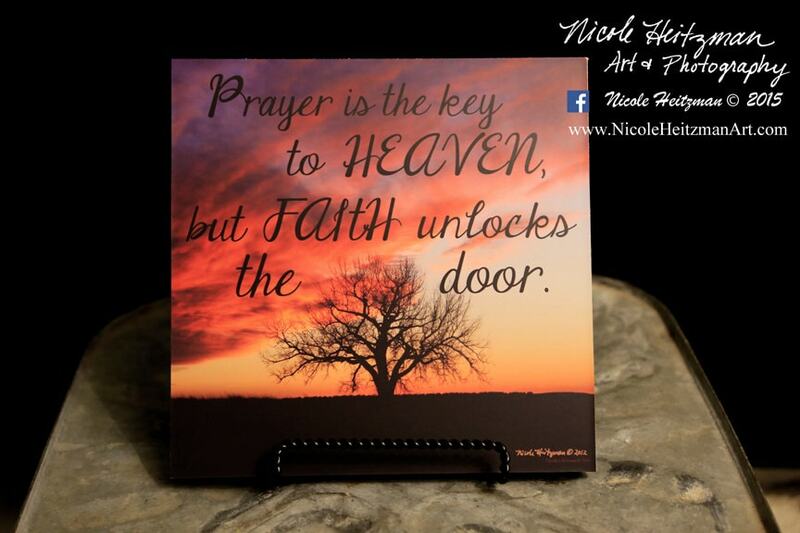 The quote on the image says "Prayer is the Key to Heaven, but Faith Unlocks the Door."